GKE usage metering: Whose line item is it anyway? 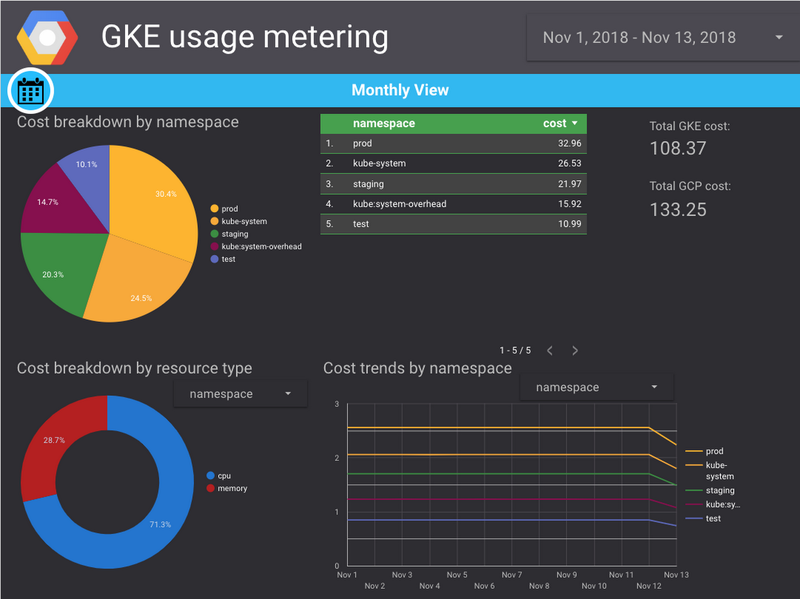 We are pleased to announce the launch of Google Kubernetes Engine (GKE) usage metering in beta. The feature allows you to see your Google Cloud Platform (GCP) project’s resource usage broken down by Kubernetes namespaces and labels, and attribute it to meaningful entities (for example, department, customer, application, or environment.) This enables a number of enterprise use cases, such as approximating cost breakdown for departments/teams that are sharing a cluster, understanding the usage patterns of individual applications (or even components of a single application), helping cluster admins triage spikes in usage, and providing better capacity planning and budgeting. SaaS providers can also use it to estimate the cost of serving each consumer. When you enable GKE usage metering, resource usage records are written to a BigQuery table that you specify. Usage records can be grouped by namespace, labels, time period, or other dimensions to produce powerful insights. You can then visualize the data in BigQuery using tools such as Google Data Studio. Optionally, you can enable network egress metering. With it, a network metering agent (NMA) is deployed into the cluster as a DaemonSet (one NMA pod running on each cluster node). The NMA is designed to be pretty lightweight, however, it is important to note that an NMA runs as a privileged pod and consumes some resources on the node. High-level architecture of the usage metering agent. Early adopters of GKE usage metering tell us that the feature improves the operational efficiency and flexibility of their organizations. GKE users can visualize and dissect resource usage data to gain insights. While using too many namespaces can introduce complexity, using too few will make it hard to take advantage of multi-tenancy features. For a large company with multiple teams sharing the cluster, aim to have at least one namespace per team. For more details and scenarios, see this short video. It is a good idea to define a required set of labels for the org and make sure the essential attributes are captured for every application/object. For example, you can require every Kubernetes application to define the application id, team name, and environment, and allow team members to customize additional labels as needed. However, keep in mind that taking this to the extreme and using too many labels may slow down some components. Enterprises and resellers using GKE clusters in a multi-tenant environment need to understand resource consumption on a per-tenant basis. 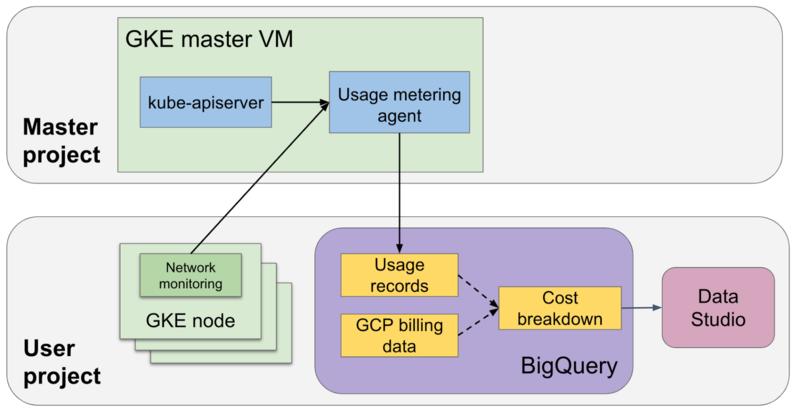 GKE usage metering provides a flexible mechanism to dissect and group GKE cluster usage based on namespaces and labels. You can find detailed documentation on our website. And please take a few minutes to give us your feedback and ideas, to help us shape upcoming releases.